Yes, Local house sellers are still getting cash for houses in Jacksonville, Florida even in this real estate market. Years back, selling a Jacksonville house for cash was quite easy and fun. However, if you are trying to figure out how to you can get cash for houses in Jacksonville FL, then you should not lose hope, especially if you know what you can control; and there is a lot that you can control. There are a few viable options when you’re selling your Jacksonville house for cash in today’s market… and I’ll walk through some options here in this article. Hopefully by the time you get to the bottom of this article you’ll have a clear picture for the options you can go after to sell your house fast without hassling with a buyer who has to get a loan from a bank… that may take weeks or months. It is important that you establish whether your house can compete effectively with what other sellers are offering. If it cannot, then find out if you can make a few repairs to make it competitive in the marketplace. If this is necessary, you need to create a budget and timeline during which you will renovate your house before putting it up for sale if you’re going to try to sell it to a “retail” buyer (someone who plans on living in the house). However, if you do not have the finances or time to repair the house, you can still sell it fast in “as is” state. That’s actually what we do here at Fair Home Offers. We buy Jacksonville houses… we pay cash… we can close quickly… and you won’t have to do any repairs at all. Give us a call at 904-325-9088 if you need to sell fast... we can make you a fair all-cash offer within 24 hours. No obligation or hassle at all. Take the offer and decide if it’s right for you. Most local Jacksonville home sellers fail to sell their houses fast because they are asking for too much. 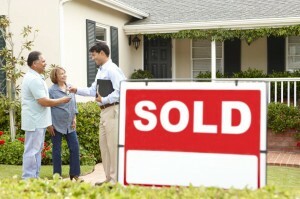 Want to learn more quick home selling tips? Click here. Better still, call us today at 904-325-9088 for amazing cash for houses deals in Jacksonville. We here at Fair Home Offers offer cash for houses in Jacksonville and surrounding areas. We’re local buyers helping local home owners sell their house quickly with no hassle. If your Jacksonville FL house qualifies, we can you make a quick and fair cash offer.